The Nursing and Midwifery Council (NMC) wants to encourage reflective practice so that nurses actively consider the role of the Code in their professional development and identify any changes they can make to improve their practice. As part of the revalidation process you must submit five written reflective accounts to your professional portfolio. Each reflective account must refer to either an example of your continuing professional development (CPD), a piece of practice-related feedback, or an event or experience in your own practice and how this relates to the Code. Write a reflective account based on what you learned from a CPD article published in one of our journals and you can gain a certificate of learning. Write your reflective account using the template outlined in the official NMC form, available via the website here. The form consists of four reflective questions relating to a CPD activity you have undertaken. Aim to write around 800 words in total, focusing on what you learned from the CPD article and how you changed or improved your practice as a result. An example of a reflective account completed using the NMC form can be found here. Read how other people related a CPD article to their practice in the reflective accounts section here. 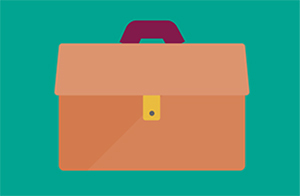 Developed to help you meet the NMC’s revalidation requirements, RCNi Portfolio lets you store, build and track your evidence in one easy to manage online space. RCNi Portfolio is available on its own or as part of an RCNi Journal, RCNi Learning or RCNi Ultimate subscription package.